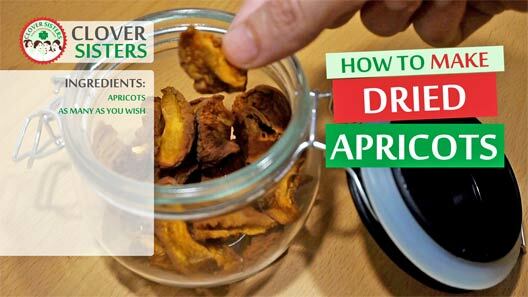 Healthy, perfectly sized snack, sweet and available year-round, dried apricots are also valuable ingredients to many dishes from starters, throughout main courses to delicious deserts. One of the best ways to preserve fruit for later use is drying. Apricots as many as you wish. 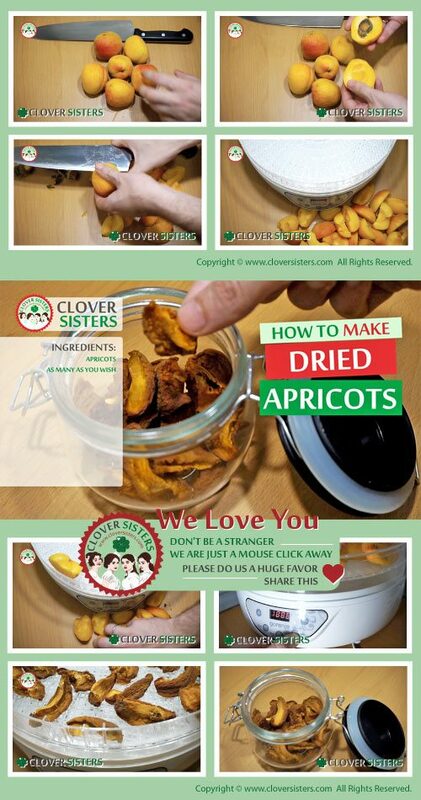 Clean your ripe apricots, cut in half and then remove the pits and stems. If you want them to be crunchy then turn halves inside out. Place in a dehydrator and leave on 140 F /60 C for 6 – 14 h.